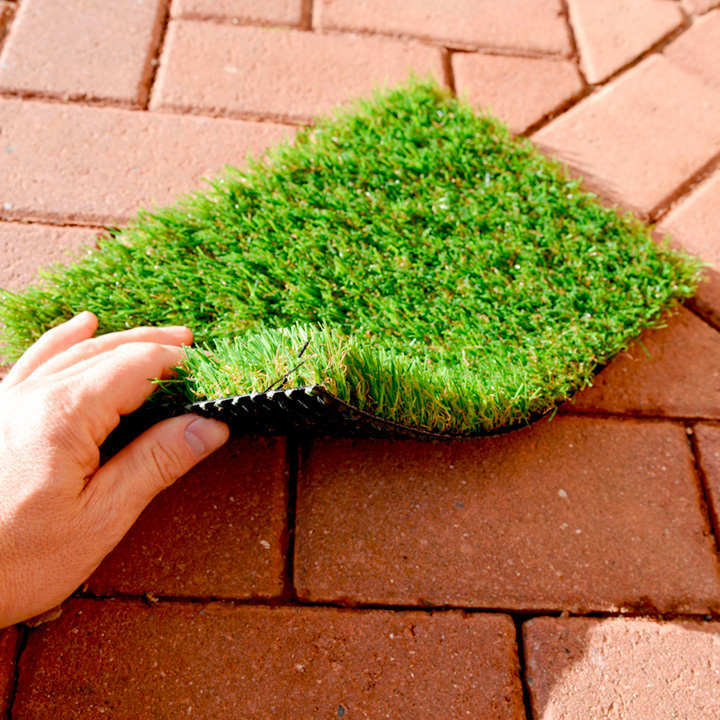 With recent advances in artificial grass, you can now have a completely natural-looking, hard-wearing, maintenance-free lawn that will remain looking at its best 365 days a year. 2m wide x 1m roll. 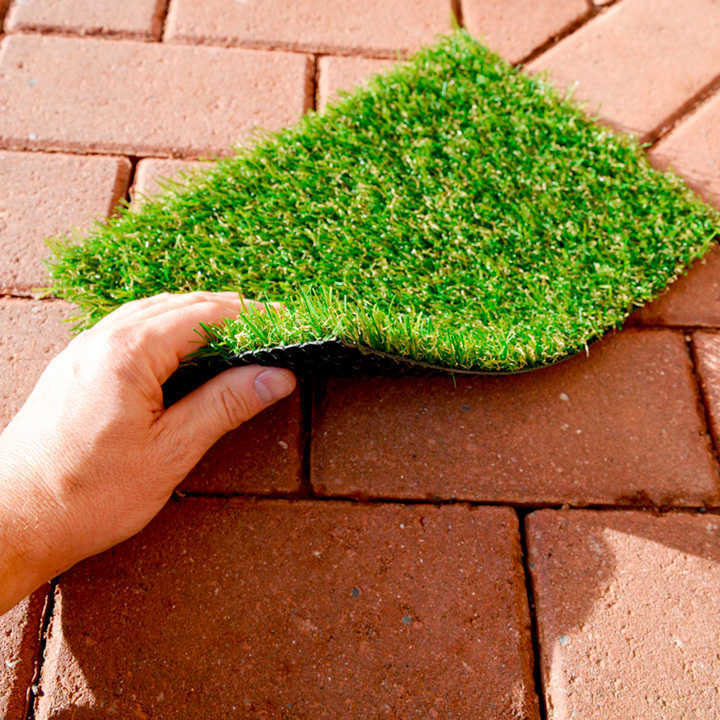 Our UV-stablised polyethylene turf is child and pet friendly and will provide you with a beautiful lawn for many years to come! Newbury - Neat clipped short pile and light brown thatch provides a realistic very recently mown look. A superb problem solver where children or pets make real grass unsuitable. 20mm pile. A completely natural-looking maintenance-free lawn! 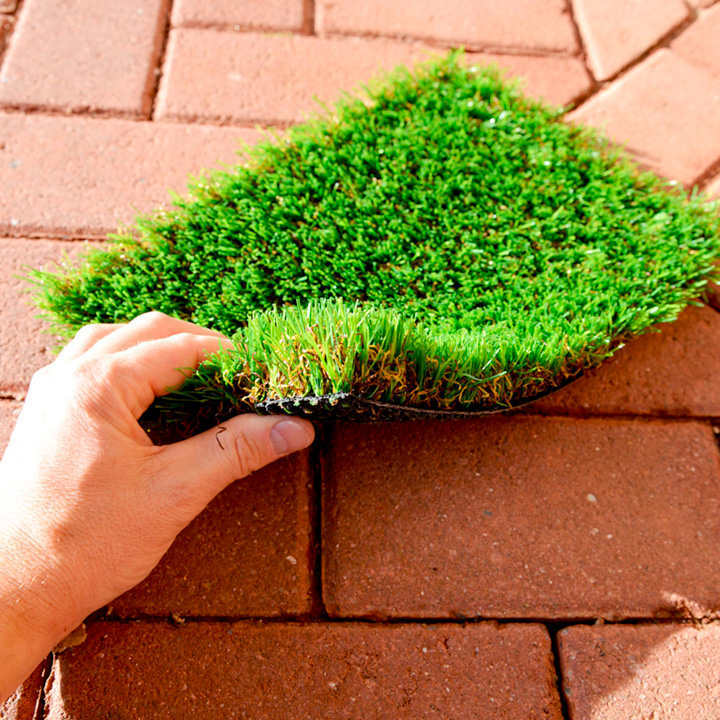 With recent advances in artificial grass, you can now have a completely natural-looking, hard-wearing, maintenance-free lawn that will remain looking at its best 365 days a year. Sandown - This luscious, dense, soft grass has a diamond shape memory yarn and dark brown thatch, giving a fuller and natural look. Multifunctional - ideal for any areas. 30mm pile. Ascot - Top of the range! This finest quality grass contains multiple coloured memory pile to reduce flattening, with a complex chocolate brown curly thatch structure which creates an exceptionally realistic look. Great for all areas including luxury show gardens. 35mm pile. All available in the following: 2 metre wide roll; 4 metre wide roll.